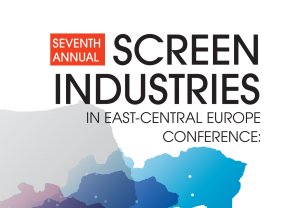 The 7th annual „Screen Industries in East-Central Europe“ (SIECE) conference, which took place in Prague on 22-23 May 2018, focused on current developments in online distribution of audiovisual content. The main conference themes also included Internet television and European Commission’s Digital Single Market strategy. While the most current discussions focus on the United States, Asia, and the biggest multinational moguls, the SIECE 7 Conference sought to open a space for approaching these industry trends and policy questions from the perspective of relatively small, peripheral, and fragmented (in terms of population, languages, infrastructures, capital) media markets. The conference was sponsored by the Faculty of Arts, Charles University, and Palacký University Olomouc in cooperation with the Czech Society of Film Studies and the National Film Archive, and supported by the European Regional Development Fund-Project “CREATIVITY AND ADAPTABILITY AS CONDITIONS OF THE SUCCESS OF EUROPE IN AN INTERRELATED WORLD” (No. CZ.02.1.01/0.0/0.0/16_019/0000734).